Our face-to-face program is a comprehensive collection of teaching strategies, educational activities and resources designed to give learners the best opportunity for success. We have shared our face-to-face program with several strategic partners, including MCDSIG, which produced this excellent video explaining the benefits of the program. The Learning Program, Orange County (LP OC) involves four levels of classroom programming for parents and their learners. The LP OC is delivered at the DSF Learning Center in Irvine, California from September through June. The goal of LP OC is to empower parents as first teachers and advocates for their learners and to improve academic outcomes. LP OC complements formal instruction in literacy and math, and includes occupational and speech therapy components. The next Learning Program series will begin in September 2018. Registration opens in July. Learning Program After School Academy (ASA) provides weekly 1.5 to 2 hour classes supporting growth in academics, communication and social skills. Staffed with credentialed teachers supported by interns and volunteers, ASA I is for students in 3rd through 6th grade and ASA II is for students in 7th grade through post high school transition. Students do not have to participate in LP OC to join ASA. There is currently a waiting list to participate in ASA II. Learning Program Summer Academy is the summer version of After School Academy. Staffed with credentialed teachers supported by trained interns and volunteers, summer classes provide reading and math intervention and social skill building to students in third grade through post high school transition. Registration for this summer is open now. Learning Program Tutoring provides direct academic intervention to students. Sessions vary based on student strengths and challenges, but apply the research, strategies, resources and activities used in The Learning Program. Tutoring sessions may include general curriculum support in alignment with Common Core State Standards, customization of Learning Program curriculum, development of personalized learning materials, and homework help. 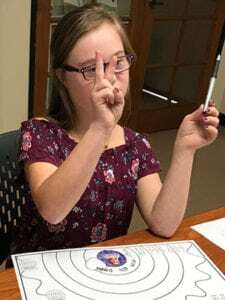 Learning Program's Teen Time (Teen Time) expands social opportunities for teens and young adults with Down syndrome through monthly Sunday programming. 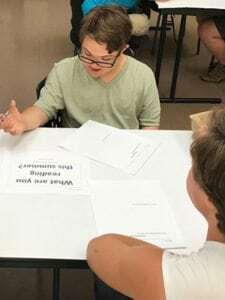 Leveraging Learning Program resources and connections, Teen Time focuses on social skill and relationship building in a fun, age appropriate and structured environment. Learning Program Community Classroom supports families and professionals in our local Southern California Community through face-to-face workshops (ranging in length from 1.5 hours to full day). LP Community classroom is ideal for those who work full-time, live or work far from our Learning Center, prefer to focus on single Learning Program topics or cannot participate in our regular LP OC Program. Learning Program Scholarships enable DSF to make its educational programming available to everyone, including those experiencing financial hardship. Based on demonstrated financial need, DSF will provide either partial or full scholarships for eligible programs. Scholarships may be renewable. To obtain a Scholarship Application, contact Lisa Fraser at lfraser@dsfoc.org. "The monthly meetings are great, it keeps me on task and most of the time the topics relate to what we are dealing with at home and school. Information is key and we get new insight on every meeting." "I would absolutely recommend and encourage participation in LP. It has set the foundation for all of J's past, current and future learning. It has empowered me (a non-teacher) to adapt and/or modify work in a way that is effective, meaningful and beneficial for J. It has also inspired me to continue to set the bar high, not only for J, but the professionals working with him - to seek out best practices and think outside the box in their teaching." 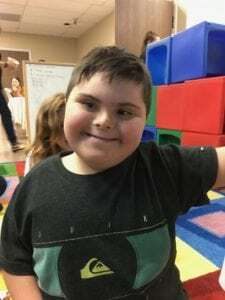 "My son T has always loved DSF's programs but ASA has influenced him in a way that makes him excited to learn and he asks almost every day if it's the day he will go to ASA or Summer Academy. I would absolutely recommend ASA and Summer Academy. If it's not for the academic portion that is supplemental to school, then without a doubt it's for the social aspect." "My daughter K has learned, grown and benefited from every program! And I can wholeheartedly say that it's been in the After School Academy that I have seen the most growth and improvement in K’s speech and social interactions. And the best part is the skills she is learning are transferring into her everyday life! K is appropriately responding to questions and then asking people about their day! I have also seen friendships with her peers blossom and improve!" "My son has been attending After School Academy for over a year. He has gained important social skills and cues from his peers and wonderful instructors. He has the support of the many helpers in the class and effective guidance from his instructor. I highly recommend this program for academic and social reinforcement." "I think ASA has boosted D's self-confidence. She feels very comfortable talking and sharing when she is there. She responds well to all the positive responses and feedback from all the staff. She seems to have many friends there and looks forward to seeing them each week. I think for this reason it has increased her social circle. Thank you for all you do. This program has become incredibly important for D especially as she gets older. I look forward to her continuing to grow with it." View current and upcoming events and classes. If your family is participating in The Learning Program in Irvine, California or through the LP Online Program, you can view your schedule by navigating to the DSF Events Calendar. 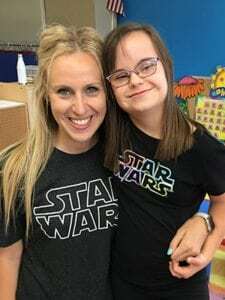 With the exception of online sessions, all classes are held at Down Syndrome Foundation’s Learning Center, located at 18023 Sky Park Circle, Suite F, Irvine, California 92614. If you have a question about the schedule or will miss a class, please contact Lisa Fraser at lfraser@dsfoc.org. The schedules above apply only to Learning Program classes held in Irvine, California. If you are part of a Learning Program in another state or country, please contact your Learning Program administrator for specific class information. Any additional questions & comments? Tell our staff about your learner's current capabilities and growth areas, and we will recommend the perfect resources and courses to help them shine!